The Norröna Women's Tamok Gore-Tex Pants is a triple-layered hardshell pants with a casual cut that is perfect for use in classic skiing, freeriding, back country skiing and on skiing or general winter tours! This is mainly down to the waterproof and abrasion-resistant laminate that it is made of, which is best suited to wear doing activities in cold conditions, and offers the best protection against snow, ice and abrasion on rocks. Aside from that, the preformed, somewhat wider cut is fantastic for allowing comfortable movement doing the widest range of activities. The features are also universally fitting: Ventilation zips, numerous pockets integrated gaiters and the possibility to attach a powder skirt by Norröna (not included), so you can use them for Alpine skiing just as much as for snowshoe tours. These pants are cut long enough to fit nicely over ski and snowboarding boots, and also has a raised waistband to keep you insulated against snow and cold wind. It can also be adjusted at the sides so you don't need a belt to keep them up. The design on these pants is of a military style but still quite timeless with their understated colours. The pants can be worn directly on the skin in cold weather, but a thin synthetic of virgin wool baselayer definitely increases their comfort. The unlined hardshell should definitely be combined with warm merino or stretchy fleece underwear in icy temperatures. Are you looking for a long lasting, stylish and functional companion for adventures in the snow? ? 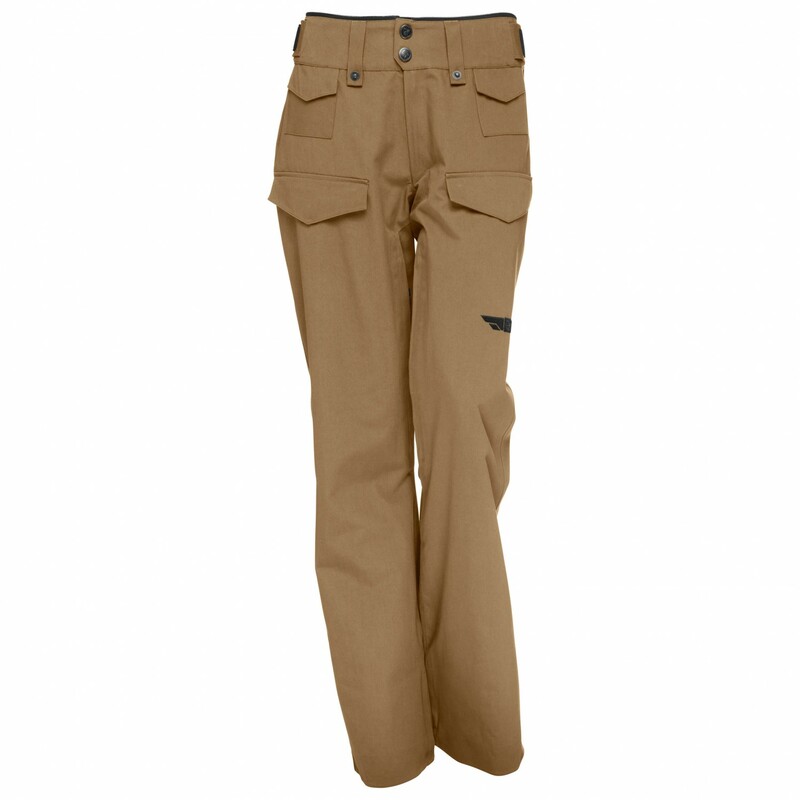 Then look no further than the Norröna Women's Tamok Gore-Tex Pants!